The most Stunning & Beautiful Jaimalas we spotted at Real Weddings! 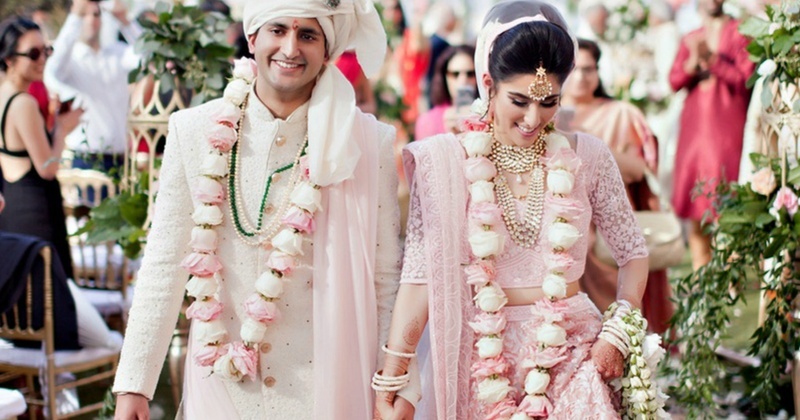 The varmala or jaimala is one of the most important rituals of a traditional desi shaadi! This floral garland exchange symbolises the first step which a couple takes before taking their wedding vows! Being one of those most fun-filled and exciting event, it is one of the heavily photographed part of the wedding! So, picking the perfect jaimala is really essential. After all, it’s the whole essence of the ritual right? So by now, you would have probably made pointers as to what kind of jaimal you'd want for your wedding. Just a suggestion - have a word with your wedding planner or florist to make sure that your shortlisted flowers would be available at the time of your wedding.